Visiting Metropolitan National Park and Gatun Lake will get you outdoors. Step out of Panama City with an excursion to Gatun Locks in Colon--about 1h 40 min away. 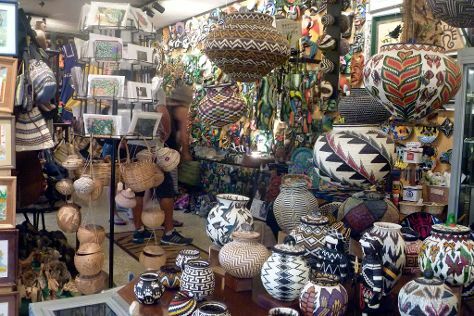 Next up on the itinerary: make a trip to Panama Canal, browse the eclectic array of goods at Mercado de Mariscos, take in the views from Bridge of the Americas, and get outside with Cinta Costera. To see ratings, other places to visit, and tourist information, read our Panama City itinerary planner. Phoenix, USA to Panama City is an approximately 14.5-hour flight. Due to the time zone difference, you'll lose 2 hours traveling from Phoenix to Panama City. In March, Panama City is a bit warmer than Phoenix - with highs of 90°F and lows of 75°F. Finish your sightseeing early on the 12th (Sun) to allow enough time to travel to San Jose. Kick off your visit on the 12th (Sun): view the masterpieces at Galeria Namu. To see ratings, other places to visit, and other tourist information, refer to the San Jose trip itinerary maker. You can fly from Panama City to San Jose in 4 hours. Alternatively, you can drive; or take a bus. Due to the time zone difference, you'll gain 1 hour traveling from Panama City to San Jose. Prepare for little chillier weather when traveling from Panama City in March: high temperatures in San Jose hover around 80°F and lows are around 66°F. You will leave for Manuel Antonio National Park on the 13th (Mon). 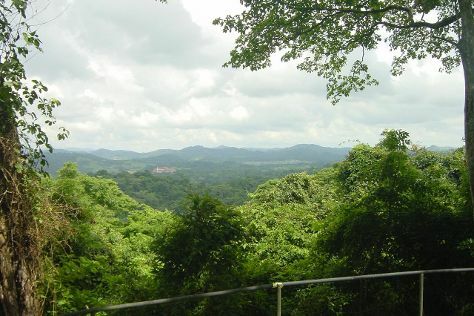 Get in touch with nature at Parque Nacional Manuel Antonio and Zipline. 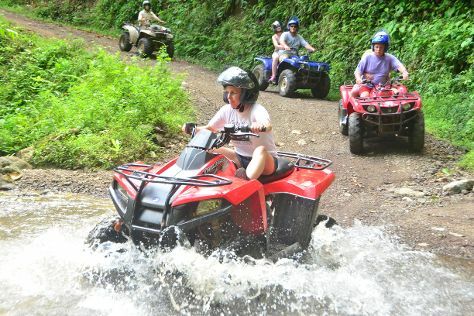 To see more things to do, where to stay, ratings, and tourist information, you can read our Manuel Antonio National Park trip generator. Do a combination of shuttle and flight from San Jose to Manuel Antonio National Park in 1.5 hours. Alternatively, you can take a bus; or drive. In March, daytime highs in Manuel Antonio National Park are 80°F, while nighttime lows are 66°F. Wrap up your sightseeing on the 17th (Fri) to allow time to drive to Monteverde. 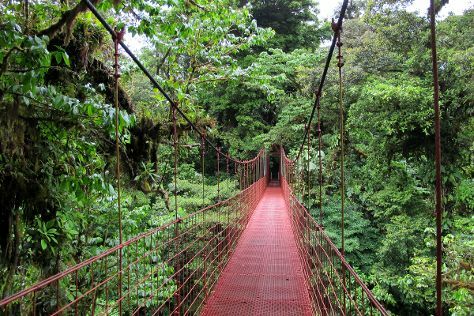 Visiting Monteverde Cloud Forest Biological Reserve and Rio Celeste will get you outdoors. Explore Monteverde's surroundings by going to Viento Fresco Waterfall (in Tilaran) and Monteverde Orchid Garden (in Santa Elena). To find more things to do, photos, other places to visit, and tourist information, you can read our Monteverde sightseeing planner. Traveling by car from Manuel Antonio National Park to Monteverde takes 4 hours. Alternatively, you can take a shuttle. On the 21st (Tue), you'll have the morning to explore before heading off to San Jose. To find more things to do, photos, maps, and tourist information, use the San Jose online itinerary creator. You can drive from Monteverde to San Jose in 2.5 hours. Alternatively, you can do a combination of taxi and flight; or take a bus. On the 23rd (Thu), you're off toGuatemala City. The largest city in Central America and the country's capital, Guatemala City contains historic sights and modern businesses. Guatemala City is known for museums, shopping, zoos & aquariums, sightseeing, and theme parks. Your plan includes some of its best attractions: browse the eclectic array of goods at Mercado Central. For more things to do, ratings, photos, and tourist information, refer to the Guatemala City trip planner. Traveling by flight from San Jose to Guatemala City takes 4.5 hours. Alternatively, you can drive; or take a bus. Traveling from San Jose in March, plan for little chillier nights in Guatemala City, with lows around 57°F. You'll set off for Cancun on the 1st (Sat). Kick off your visit on the 2nd (Sun): delve into the distant past at El Rey Ruins (Zona Arqueologica El Rey) and then enjoy the sand and surf at Playa Norte. On your second day here, buy something for everyone on your list at La Isla Shopping Village, then go for a walk through Avenida Kukulkan, and then stroll through Playa Delfines. To see where to stay, more things to do, other places to visit, and tourist information, refer to the Cancun travel planner. Use the Route module to find suitable travel options from Guatemala City to Cancun. The time zone changes from Central Standard Time to Eastern Standard Time, which is usually a 1 hour difference. Plan for a bit warmer nights when traveling from Guatemala City in April since evenings lows in Cancun dip to 73°F. Wrap up your sightseeing by early afternoon on the 4th (Tue) to allow time for travel to Cozumel. Take a break from the city and head to Scuba & Snorkeling and Palancar Reef. Your itinerary includes some good beach time at Playa Corona/Corona Beach Club and Playa Mia Grand Beach & Water Park. There's lots more to do: explore the gorgeous colors at Columbia Reef, kick back and relax at Playa Chen Rio, fulfill a lifelong dream with a swim-with-the-dolphins experience, and take an in-depth tour of Discover Mexico Cozumel Park. To see traveler tips, where to stay, photos, and other tourist information, use the Cozumel itinerary builder. Fly from Cancun to Cozumel in 2.5 hours. Alternatively, you can do a combination of bus and ferry. Traveling from Cancun in April, expect little chillier with lows of 68°F in Cozumel. Finish up your sightseeing early on the 14th (Fri) so you can travel to Cancun. For photos, where to stay, more things to do, and other tourist information, read our Cancun itinerary maker. Fly from Cozumel to Cancun in 2.5 hours. Alternatively, you can do a combination of ferry and bus. On the 14th (Fri), you'll travel back home.